Equine Recoup™ has been formulated from plant varieties unique to New Zealand. These varieties are grown in the pristine air of New Zealand’s South Island. The exceptionally high level of UV light intensity triggers the plants to produce the richest source of these special flavonoids in the world. 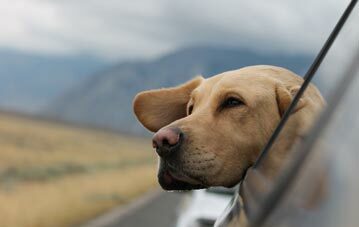 How does Equine Recoup work? 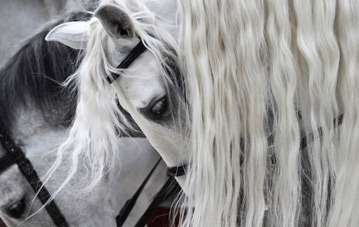 Horse performance is influenced by a number of interlinked factors. Simplistically these can be grouped into genetics, diet, and event specific conditioning and training. Training is essential to teach the appropriate behaviour and skill set requirements for a specific discipline – whether it is racing on the track, competing on the polo field, or performing in the show jumping or dressage arena. Conditioning involves repetitive exercise, stressing and straining malleable physiological systems, which on recovery increase the horse’s capacity to perform physical work and compete at a higher level. Key to a successful conditioning program and essential to performance gain by the equine athlete is recovery. 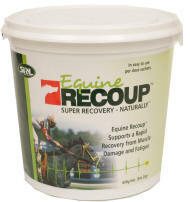 Equine Recoup has been specifically formulated to support recovery. 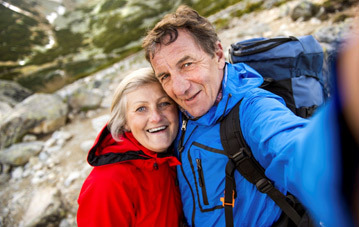 Phase I – the cool down period; bringing about a return to a physiological homeostasis following exercise exertion including a return to a resting heart rate, a shift in priority cardiac output from the skeletal muscles (down from as high as 90% to 10%) to the kidneys and gastrointestinal system, and the removal of potentially toxic metabolic by products accumulated during exercise. Phase II – the rebuild period; the stimuli of the conditioning work sparks a cascade of physiological responses that drive metabolic and morphological adaptation within muscle systems which translate to gains in stamina, strength and speed as targeted in the conditioning work. Focusing on both phases of recovery, Equine Recoup™ was developed as a proprietary blend of natural plant derived polyphenolic compounds to support the endogenous systems of recovery in the equine athlete. support the cardiovascular system by aiding blood flow at the capillary level; the important inter-phase between muscle fibres and the cardiovascular network. support oxygen rich blood circulation to fatigued muscle cells, powering aerobic metabolic pathways and clearing accumulated exercise induced metabolic by products. supporting blood flow throughout the extremities of the skeletal muscular system. This is essential to ensuring blood borne nutrients are delivered across individual muscle fibres and are non-limiting with respect to growth and physiological adaptation induced during conditioning. As well as a benefit to recovery during conditioning and training, the same benefits are derived from Equine Recoup™ in recovery from the stress and fatigue experienced during competition. Equine Recoup™ has been tested under gruelling conditions of a 160km endurance event. Specifically investigated was the ability of Equine Recoup, as part of a daily diet, to support; heart rate recovery at various resting points during the event, reduce post event lactic acid accumulation, and limit muscle damage while supporting muscle recovery. 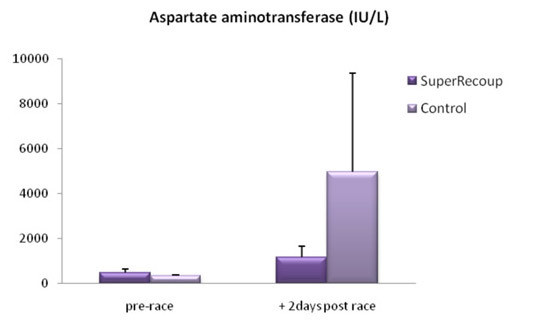 Blood plasma accumulation of the skeletal muscle proteins creatine kinase and aspartate amino transferase were used as indicators of muscle damage. 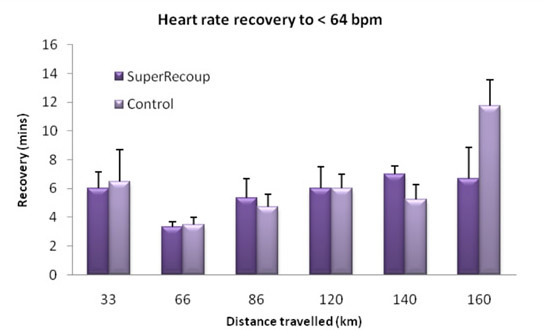 When compared with control horses (no dietary added Equine Recoup™) it was found that Equine Recoup™ supported heart rate recovery throughout the event particularly at the crucial race finish reducing heart rate recovery to resting rate by up to 5 minutes. 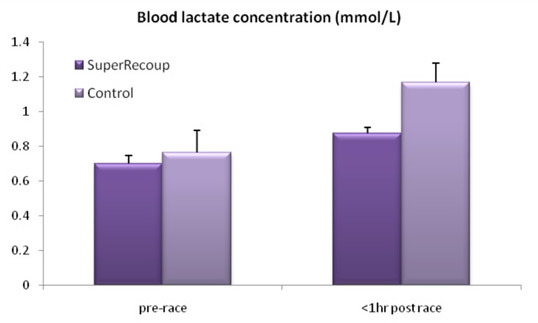 Lactic acid accumulation was found to be approximately 25% lower in the Equine Recoup™ supplemented horses during the important cool down phase following competition suggesting efficient clearance of anaerobically generated by products and promotion of aerobic metabolism. 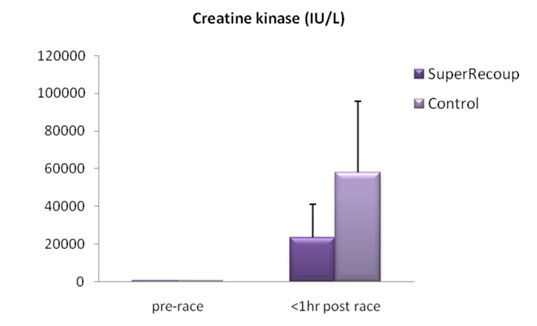 In terms of muscle damage Equine Recoup™ has shown to reduce the amount of creatine kinase and aspartate amino transferase released into the blood stream indicating not only a reduced level of exercise induced muscle cell damage or permeability, but retention of these enzymes within muscle cells where they function as key elements in metabolic recovery through the production of metabolic fuels.